This is the complete text released today, by World Net Daily, of Maricopa County (AZ) Sheriff Joe Arpaio’s investigation into certain documents relating to Barack Obama. The stated conclusion is that probable cause exists to believe that both the most recent birth certificate and the Selective Service registration pertaining to Obama are forgeries. Here is link (PDF) to an interesting and somewhat technical analysis of the birth certificate. “President Barack Obama’s long-form birth certificate released by the White House on April 27, 2011, is suspected to be a computer-generated forgery, not a scan of an original 1961 paper document as represented by the White House when the long-form birth certificate was made public,” Arizona’s Maricopa County Sheriff Joe Arpaio said at a press conference today in Phoenix. This is the major preliminary finding of a six-month ongoing Sheriff’s Cold Case Posse law enforcement investigation into the authenticity of Obama’s birth certificate and his eligibility to be president. Having developed probable cause to believe the long-form birth certificate was most likely a computer-generated forgery, investigators began examining other evidence of President Obama’s life history. • Records of Immigration and Naturalization Service cards filled out by airplane passengers arriving on international flights originating outside the United States in the month of August 1961, examined at the National Archives in Washington, D.C., are missing records for the week of President Obama’s birth, including the dates Aug. 1, 1961 through Aug. 7, 1961. Beginning in October 2011, the Sheriff’s Cold Case Posse, consisting of former law enforcement officers and lawyers with law enforcement experience, examined dozens of witnesses and hundreds of documents, as well as taking numerous sworn statements from witnesses around the world. 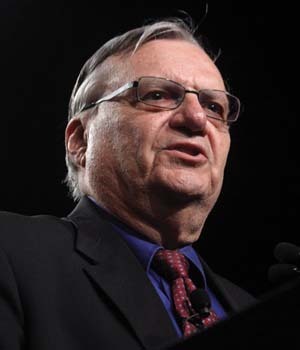 In August 2011, 250 members of the Surprise, Arizona, Tea Party, residents of Maricopa County, presented a signed petition asking Sheriff Arpaio to undertake the investigation. The Tea Party members petitioned under the premise that if a forged birth certificate was utilized to obtain a position for Barack Obama on the 2012 Arizona presidential ballot, their rights as Maricopa County voters could be compromised. The Cold Case investigators further determined that the Hawaii Department of Health has engaged in what Sheriff’s investigators believe is a systematic effort to hide from public inspection whatever original 1961 birth records the Hawaii Department of Health may have in their possession. “Officers of the Hawaii Department of Health and various elected Hawaiian public officials may have intentionally obscured 1961 birth records and procedures, to avoid having to release to public inspection and to the examination of court-authorized forensic examiners any original Obama 1961 birth records the Hawaii Department of Health may or may not have,” said Mike Zullo, the lead investigator in Sheriff Arpaio’s Cold Case Posse. The Cold Case investigators have not yet determined who, when, or precisely how the long-form computer-generated birth certificate released on April 27 may have been forged, but investigators say the evidence contained in the computer-generated PDF file released by the White House as well as important deficiencies in the Hawaii process of certifying the long-form birth certificate establish probable cause that a forgery has been committed. The Cold Case Posse investigators advised Sheriff Arpaio that the forgers most likely committed two crimes: first, in fraudulently creating a forgery that the White House characterized, knowingly or unknowingly, as an officially produced governmental birth record; and second, in fraudulently presenting to the residents of Maricopa County and to the American public at large a forgery the White House represented as “proof positive” of President Obama’s authentic 1961 Hawaii long-form birth certificate. “A continuing investigation is needed to identify the identity of the person or persons involved in creating the alleged birth certificate forgery, and to determine who, if anyone, in the White House or the state of Hawaii may have authorized the forgery,” Arpaio said. Among the evidence released at the press conference were five videos the Cold Case Posse produced to demonstrate why the Obama long-form birth certificate is suspected to be a computer-generated forgery. The videos consisted of step-by-step computer demonstrations using a control document. The videos were designed to display the testing used by the investigators to examine various claims made by supporters of the April 27 document. The videos illustrate point-by-point the investigators’ conclusion that the features and anomalies observed on the Obama long-form birth certificate were inconsistent with features produced when a paper document is scanned, even if the scan of the paper document had been enhanced by Optical Character Recognition (OCR) and optimized. Additionally, the videos demonstrated that the Hawaii Department of Health Registrar’s name stamp and the Registrar’s date stamp were computer-generated images imported into an electronic document, as opposed to actual rubber stamp imprints inked by hand or machine onto a paper document. “That we were able to cast reasonable suspicions on the authenticity of the Registrar stamps was especially disturbing, since these stamp imprints are designed to provide government authentication to the document itself,” Zullo said, stressing that if the Registrar stamps are forgeries, the document itself is likely a forgery. The investigators also chronicled a series of inconsistent and misleading representations that various Hawaii government officials have made over the past five years regarding what, if any, original birth records are held by the Hawaii Department of Health. Arpaio further stressed the Hawaii Department of Health needs to provide, as part of the full disclosure, evidence regarding the chain of custody of all Obama birth records, including paper, microfilm, and electronic records, in order to eliminate the possibility that a forger or forgers may have tampered with the birth records. Arpaio went on to say the President should also authorize Kapiolani Hospital, the birth hospital listed on the Obama long-form birth certificate, to release any and all hospital patient records for Stanley Ann Dunham Obama, his mother, and for the newly born Barack Obama, in order to provide additional corroboration for the original 1961 birth records held in the Hawaii Department of Health vault. Arpaio concluded the press conference by suggesting a congressional investigation might be warranted and asked that any other law enforcement agency with information referencing this investigation be forwarded to his office.